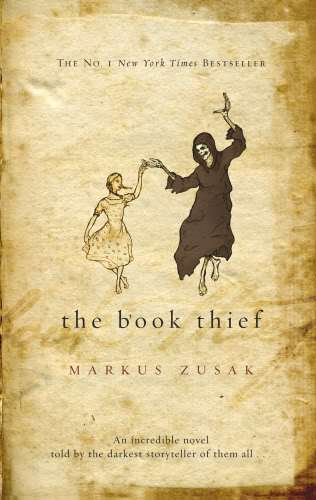 The Book Thief contains a few things you need to know about. A young girl, an old couple, a Jewish fist fighter, Hitler and Death. Sounds simple, right? After finding herself in a new town with new foster parents, a doting foster father and a sharp tongued foster mother. But Liesel Memminger is haunted, haunted by the ghost of her younger brother whom she watched die. Another thing you should know she is a thief, but the novel is about more than that. The novel is a about a young girl that we get to watch grow and about a country that will never be the same after war. As Liesel, Hanns and Rosa hide a young Jewish man they know they are risking their lives but what comes out of it is so much more. The problem with novels as good as this is that you don’t want to ruin any part of it because you love it so much. I will say though the novel is a long one but in a nice way. It’s the kind of book that you can take a break from but as soon as you turn another page you fall straight back into the story. Another character I have to mention, because I know you will fall in love with him is Lisle’s neighbour Rudy. A sweet boy who idolises black athlete Jesse Owens in the middle of Nazi Germany. As you can assume this does not work in his favour. The relationship between him and Liesel is one of my favourite parts of the novel though, without him I doubt the Bbok Thief would have become who she was. Although it’s a questionable concept, Death makes and incredible narrator and he was one of the best characters. Who would have thought death could be so kind, caring and thoughtful. Oh and lets not forget funny, there is great humour in the book even if it seems sad. I laughed more than I ever wanted to cry and it wasn’t just little laughs that would escape me, it was loud laughter which is rare. At times the book made my heart hurt. I could see the scenes playing out in my head, I wanted to look away but I couldn’t. I wanted to reach out but I wasn’t really there. What Zusak has done with his magical description should not be taken lightly. I have not read novel like this that is so vivid in a very long time. I wanted to laugh, I wanted to cry and I wanted to make sure nothing like this could ever happen again. It’s incredible that even though this is fiction, it feels as if it could be real and that is the magic of a good story teller, they made you believe the book is real. This book made me cry, and I’m grateful. It is a stunning piece of literature that I want to read again and again. I can’t give this book anything less than five stars *****, something I don’t give lightly. I remember not reading this book years ago when I had the chance and I wish someone had shaken me! Zusak is an incredible writer, so much so that if he never wrote again this book would be enough. If you haven’t read it, you need to, it is beautiful.